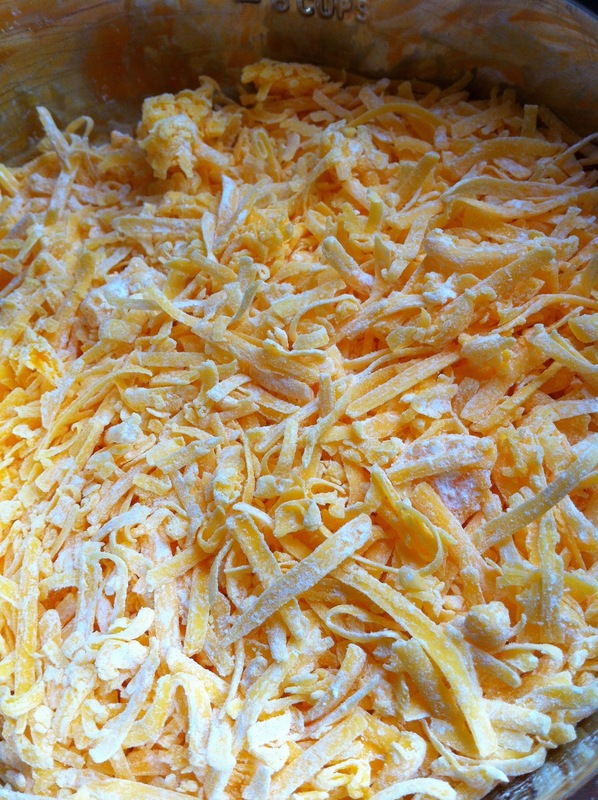 Is your grated cheese clumping when you mix it in to something hot? (Think cheese grits.) Here’s a simple solution to that problem. 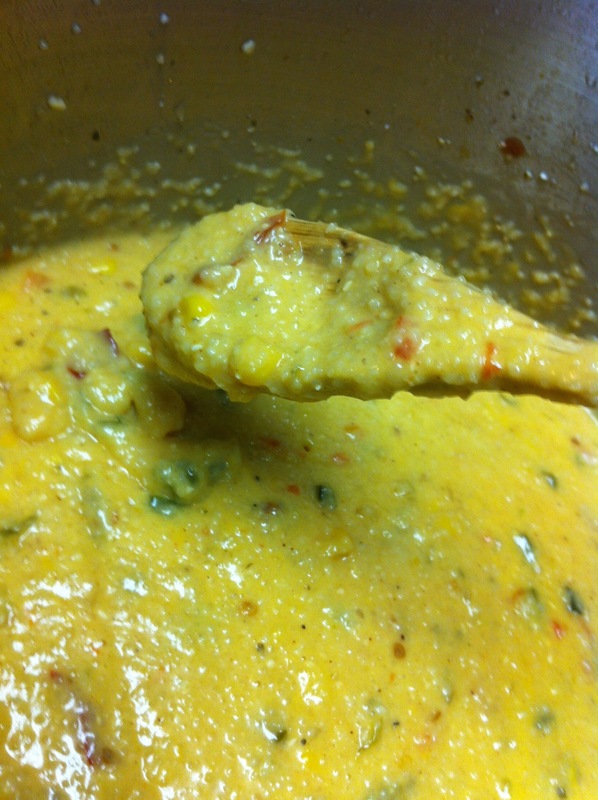 Toss your cheese in a little corn starch right after grating. This keeps the individual pieces from sticking together. 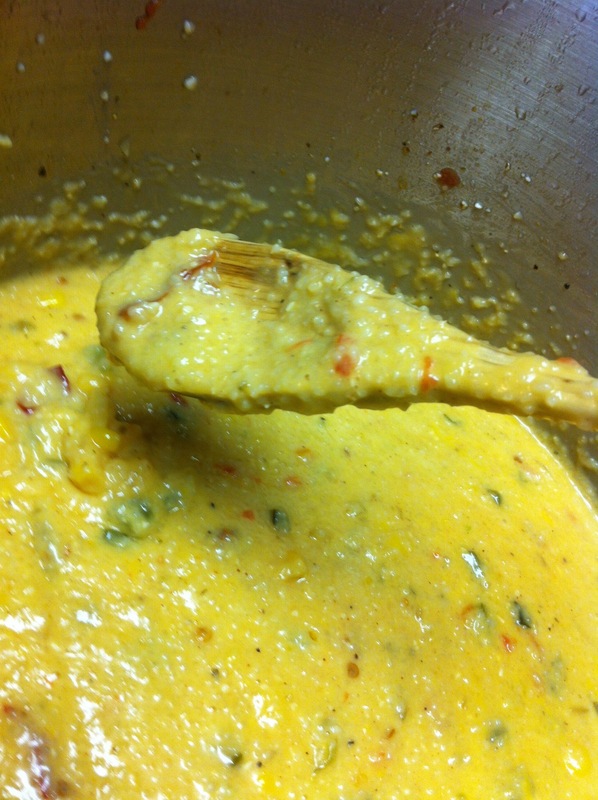 That way, your end result will be nice cheesy (in this case southwestern) grits. Instead of plain grits with chewy cheese blobs.